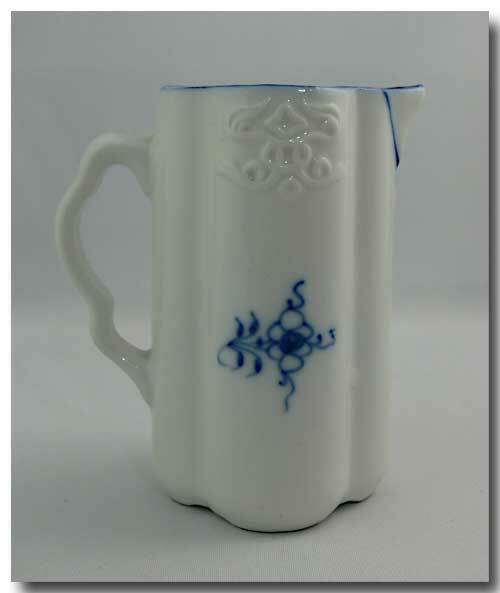 THIS LOVELY BLUE ONION CREAMER/PITCHER STANDS APPROX/ 5.5 INCHES H. X 3 INCHES IN DIAMETER ON THE BOTTOM. 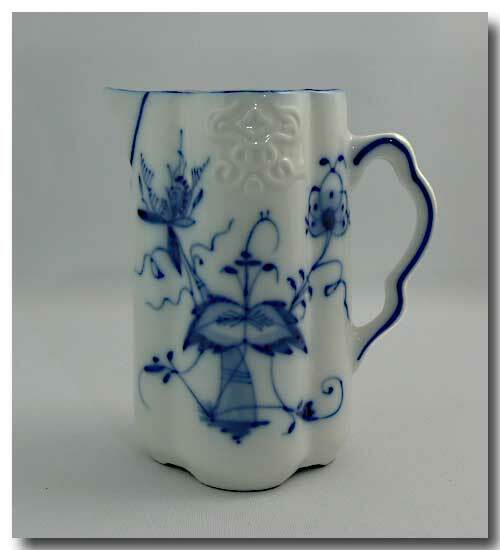 THE ITEM IS IN GREAT CONDITION WITH NO CRACK, CRAZING OR CHIPS BUT THERE IS SOME PORCELAIN EXCESS INSIDE TOWARD THE BOTTOM WHICH DOES NOT EFFECT THE USE. 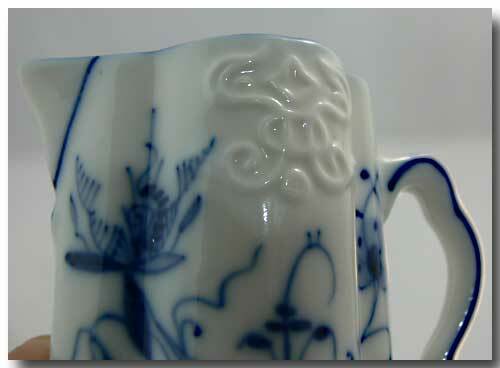 MARKED: IMPRESSED 219 OR 292 WITH A BOTCHED MAKERS MARK.